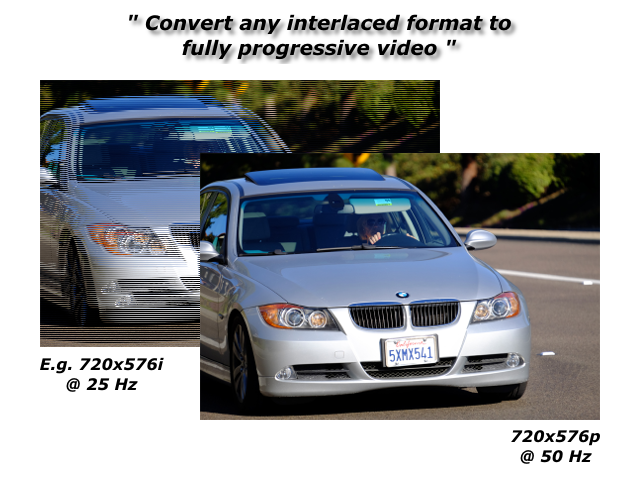 High-performance video deinterlacer. 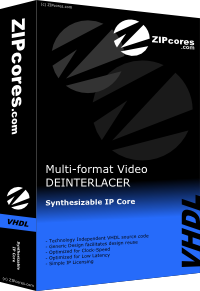 Converts all interlaced digital video formats such as 480i, 576i and HD1080i to high-res progressive versions. Generates high-quality output video without combing or tearing. Proprietary algorithm gives sharp edges with reduced softening. No frame buffer required.